The news that fresh doubts are being cast on the Korean Oh Eun-Sun’s claim to have summitted Kangchenjunga has raised again the spectre of false summit claims among the high altitude mountaineering community. 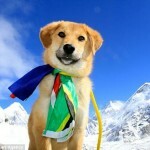 Miss Oh had been engaged in a race with the Austrian Gerlinde Kaltenbrunner and Spaniard Edurne Pasaban to become the first woman to climb all fourteen of the world’s mountains over 8000 metres, a race which most people, including Gerlinde Kaltenbrunner herself, had accepted she had won. We had our own unproven doubts about Oh Eun Sun’s ascent of Gasherbrum I in 2009, having chosen ourselves to turn back at Camp 2 on the mountain two days earlier, but we gave her the benefit of the doubt on the grounds that eleven people claimed to have summitted that day, and eleven was ‘too many for a conspiracy’, our assumption being that there would be at least one honest person among those eleven who would have owned up had the summit not been reached. While I don’t intend to cast any doubt over Miss Oh’s ascent of Gasherbrum I, I was forced to revise the view that eleven is too many for a conspiracy on Baruntse last month when an expedition tour operator claimed on their website that all sixteen of their clients and Sherpas had reached the summit, when we had seen quite clearly from base camp half of them turn around at the significantly lower second summit. It seemed so unnecessary. It was -30C at base camp that morning, 1700 metres lower, and must have been closer to -50 up there on the summit ridge. We were surprised to see figures up there at all, as deep snow over the preceding days must have buried the fixed ropes that the same team had put in place a little earlier. It had undoubtedly been some achievement by the team to be up there at all, so why discredit that achievement by claiming something that everyone at base camp could see wasn’t true? Let’s be explicit about this: around half of their team undoubtedly did reach the summit in very difficult conditions. We could see from a plume of spindrift that winds were picking up on the summit ridge and the risk of frostbite must have been high. It was certainly a wise decision by those we saw turn at the second summit to turn back when they did, and they could be well pleased with their achievement in getting that far. But it’s clear when cocooned in their own little world high up on a mountain, climbers forget that on a popular peak, there are likely to be people watching. This wasn’t the first time I had experienced this. 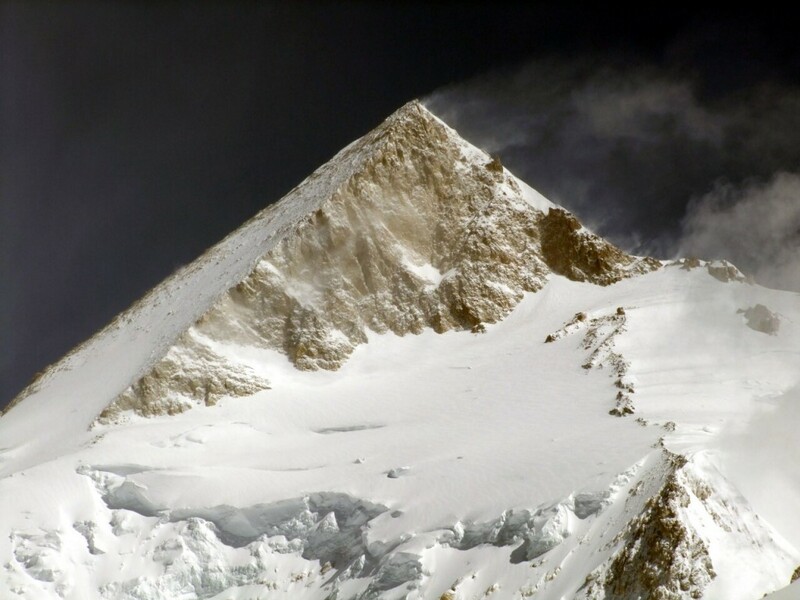 While descending from Gasherbrum I on that same occasion Oh Eun-Sun reached the summit, we saw two climbers on the traverse beneath Gasherbrum II’s summit pyramid, a few hours from the summit itself, at a time when they later claimed to have reached it. The consequences of lying are predictable. If you tell one in these circumstances, you are fairly certain to be doubted about subsequent summit claims. On big expeditions there is always great interest about success and failure among all the teams on a mountain, but after we’ve all gone home and memory of the expedition fades, in the overwhelming majority of cases most people don’t really care whether you made the summit or not. The only person who cares is yourself, so why lie to yourself when you know you didn’t get there? 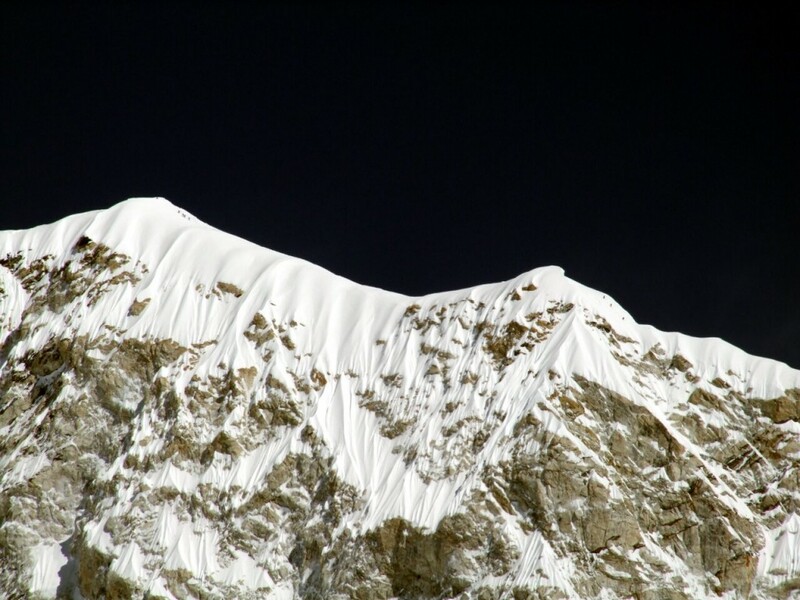 Climbers on the summit ridge of Baruntse – do they think nobody can see them? Yet it still goes on, and it has made me wonder why people do it. So here is a list of eight reasons why false summit claims might be made. While most full time mountaineers earn their living as guides, an increasing number are finding alternative means of financing their careers, such as having books published about their adventures or engaging in lecture tours and presentations. Many position themselves as inspirational speakers or experts in team building to the corporate world. Reputation and success at what they do are vital in order to be able to promote themselves. Although failed attempts often demonstrate a climber’s experience and good judgement, they don’t have quite the same appeal to the general public as a successful summit, particularly as more and more people take up mountaineering, and achievements such as climbing Everest or the Seven Summits (ie. the highest mountain on every continent) become more commonplace. The above reason accounts for what you might call the elite of mountaineering, people with a special talent or aptitude for climbing and survival, who organise their own expeditions, and try to do something that nobody has done before. The vast majority of high altitude mountaineers, however, are amateurs with an ordinary job, and while most of these finance expeditions through their work and carry out their climbing during holidays, career breaks or between contracts, an increasing number of amateurs are managing to get sponsorship from companies, often outdoor equipment manufacturers, to climb standard routes on commercial peaks. 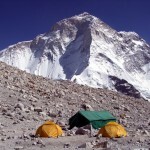 Such climbers commonly engage tour operators to provide ‘base camp only’ services to look after them at base camp, but look after themselves higher up the mountain. Sponsors generally only want to sponsor ‘successful’ climbers, so again there is a temptation for people to lie about a summit attempt to keep their sponsor happy. There are now a great many expedition companies competing with each other to get climbers with differing levels of experience to the top of high mountains. There are a great many criteria which go into choosing a suitable expedition tour operator, and often previous success on a mountain is given priority over the tour operator’s safety record. While an operator may be making the correct decision to abandon a summit attempt in adverse weather conditions, it’s a decision that may affect their ability to tempt clients to join their expedition the following year. In such a situation there is an obvious temptation for them to stretch the truth a little, particular if they abandoned their attempt very close to the summit. Most teams operating on 8000 metre peaks in the Himalayas use Sherpas and high altitude porters to carry out much of the work higher up the mountain, such as carrying loads, setting up camp, fixing ropes and looking after the clients that need looking after. On summit day there is usually a bonus system in operation to give Sherpas an incentive to help clients reach the summit. A summit bonus of $500 USD is a significant amount of money in a country such as Nepal, and while Sherpas are often more honest than their employers, it is possible to imagine the following scenario. A single western climber, perhaps one with sponsorship from a clothing manufacturer who is keen for them to succeed, has hired a Sherpa to climb with him, but very close to the summit the weather closes in and they’re forced to turn around. The climber wants to claim the summit, but the Sherpa is with him and knows they haven’t made it. The climber offers the Sherpa his summit bonus as a bribe in exchange for his silence, the Sherpa accepts and nobody is any the wiser. One for the psychologists rather than the mountaineer, so I’m just going to touch on it briefly and allow others better qualified to read into it what they will. I’ve already mentioned that in the long run climbers who lie about their summit claims are really only fooling themselves, yet still there are people that do it, and continue to convince themselves until they eventually believe it’s true. Why, I don’t know. How, I don’t know either, but it does happen. To be a successful mountaineer requires a great deal of determination to push yourself up to the limits of your endurance and beyond. Many are so determined, and push themselves so far beyond that they exhaust themselves, and are no longer capable of making rational decisions on summit day. They don’t even know where they are, or how far they have to go to reach the summit, yet still they are aware that they have to keep going. These climbers are often guided, and their guide can see that it’s time for them to turn around but is unable to convince them. On such an occasion, to save the client from further misery, and often to save their life, the guide might be justified in telling the client they have reached the summit when they may only have reached a subsidiary peak or a slight rise in the terrain. It’s possible to imagine a situation where the guide is then too afraid of the consequences to own up to his deception back at base camp, and the deception is maintained. There is a hilarious passage Bill Tilman’s Snow on the Equator about an expedition to the Rwenzori Mountains in Uganda with Eric Shipton in the 1930s. 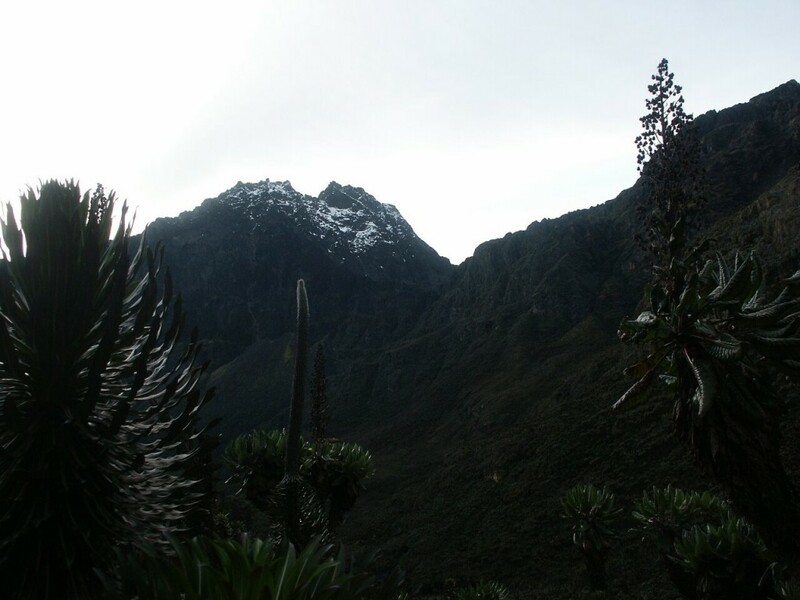 Most of the mountains in the Rwenzoris have multiple summits, and it is an area of rain forest renowned for wet and miserable weather conditions. 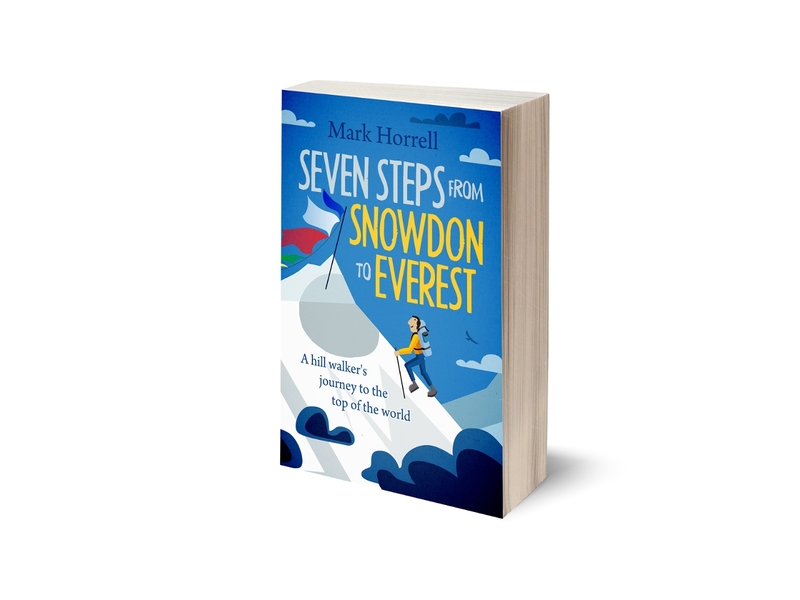 Tilman and Shipton climbed a number of summits but often had no idea which summit they were climbing until a gap in the cloud offered them a momentary glimpse of another summit close by. Anyone who has climbed in Scotland will be very familiar with this scenario. The fact is, if you’ve not been there before, in times of poor visibility it can be very difficult to tell whether you’ve reached the summit or not. 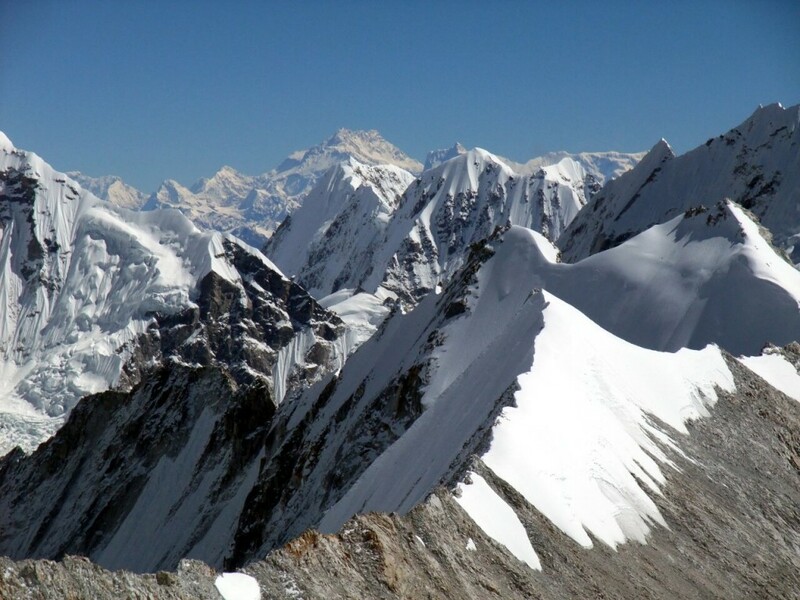 On a slightly less justifiable note, a number of 8000 metre peaks, such as Broad Peak, Cho Oyu and Manaslu, have fore summits some distance from the true summit. For reason 3 above, the expedition operator might tell their clients they’ve reached the summit when the client is unaware that it’s not the true summit. 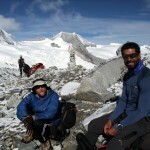 A prime example of this is the popular trekking peak Mera Peak in Nepal. Nearly every tour operator takes their clients up Mera Central without telling them that Mera North, just a stone’s throw away, is 15m higher. 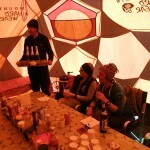 Base camps on popular 8000 metre peaks are rife with rumour, gossip and one-upmanship. Everyone is keen to know how everyone else is getting on, and they become even more keen when summit days are approaching and teams are beginning to break trail towards the summit, as it affects the timing and success of their own summit attempts. But information is spread by word of mouth in a series of Chinese whispers, often getting distorted or embellished in the process. Sometimes a rumour is spread that such-and-such a person has reached the summit, only for it to be quashed later by the very person it has been claimed about. So here are the top eight reasons. I realise this is an emotive and controversial subject, but false summit claims seem to be getting more common, and certainly more high profile, and although I really shouldn’t care, they always raise my temper a little. Just like drug taking in athletics or cycling, they cast their shadow over the vast majority of honest people who would never dreaming of lying about their achievements, by causing them to have their own summit claims doubted. I would love to know your thoughts on this topic. Related to #7, they don’t know better, the RMI guided groups up Mount Rainier usually call it good at the crater rim, 200 vertical feet and 1000 feet away from the true summit. I think RMI knows better, but expect a lot of the clients do not. No doubt it is safer to get off the clients off this peak as soon as possible, but given how far they have come, it is a shame not to get on top. One also wonders if some of the guides, who claim hundreds of ascents, count the crater rim as good ? I’ve not heard this about guided ascents on Rainier. That sounds like a big distance from the true summit. I would certainly feel peeved to stop so far short on a guided climb without good reason.